These two letters were written by Cpl. John March (1841-18xx) of Steuben County, New York. The first letter was written while John served in Co. A, 23rd New York Infantry. 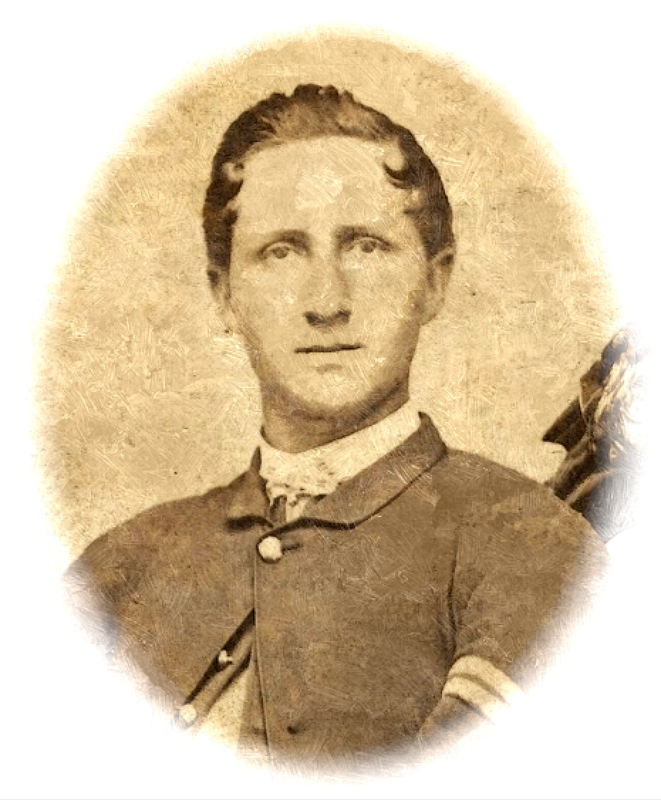 He enlisted in April 1861, was promoted to a corporal in August 1861, and to a sergeant in May 1862. The second letter was written while he served in Co. G, 22nd New York Cavalry. “…William March, late a private in A Company, 23rd Regiment New York Volunteers, was killed on the 25th day of May A.D. 1862 at the City of Fredericksburg by the explosion of a Powder Magazine containing shell ammunition left there by the enemy. Said March was doing duty as a sentinel at the magazine by authority at time of explosion. That at the time said injury was received which caused his immediate death.” The source of this information was Lt. Benjamin Bennett of the 23rd New York Infantry. An interment record for William March reveals he was originally buried in the Falmouth Cemetery in Falmouth, Virginia — across the Rappahannock River from Fredericksburg. He was later interred in the Fredericksburg National Cemetery (grave no. 1790). In the New York State Census of 1865, John (a blacksmith) is enumerated in Avoca, Steuben County, in the household of his mother, Nancy March (b. 1815), and with three sisters — Alice March (b. 1847), Emma March (b. 1851), and Effie March (b. 1854). Your letter came to hand last night and I was very glad to hear from you. It is a raining very hard and it makes it unpleasant. We have got in a good place now. The reason it is better than the other [is] because we are near the rebels but we are in a mean place to camp. The creek runs right through the camp and it makes it muddy most all of the time. I don’t think we will stay here long. I think we will be in Fairfax within 4 days but we have to fight to get it. I wish we had orders to march now. I got a letter from Frank the other day and he said that Byron had enlisted now. I want to know whether it is so or not. He said that he didn’t send mother only five dollars. If that is so, he ought to go to hell. He ought to get shot the first battle. You say that you are a going to learn to play on music. That will do. Who is a going to learn you? Mary House or someone else? Go on and learn it and when you get it learned, you let me know. Then I will send you the money to pay for it. Did Lieut. [George E.] Biles get any recruits at Avoca or not? Where is By Straight? Hain’t he at Avoca. We get better food than we did before. We have beef now three ties a week and rice. Before we did not get any. We are alright now. We can’t find any fault. We get lots of chestnuts — more than we know what to do with. You tell Rose that she must write. If she don’t, I will send one of old Jeff Davis’s Black Horse Cavalry after her. The Black Horse Cavalry is all played out. They got all they wanted at Bull’s Run but you ought to see our cavalry. We have got the best drilled cavalry with our brigade than they is in the army. The South must come down. We don’t get any Southern papers here now. I must close for we have got to go to work on a fort. I will send you a paper with this letter. If you can get hold of a Bath paper, you must send it. Bill is well now & Gad. So good night. Write as soon as you get this. 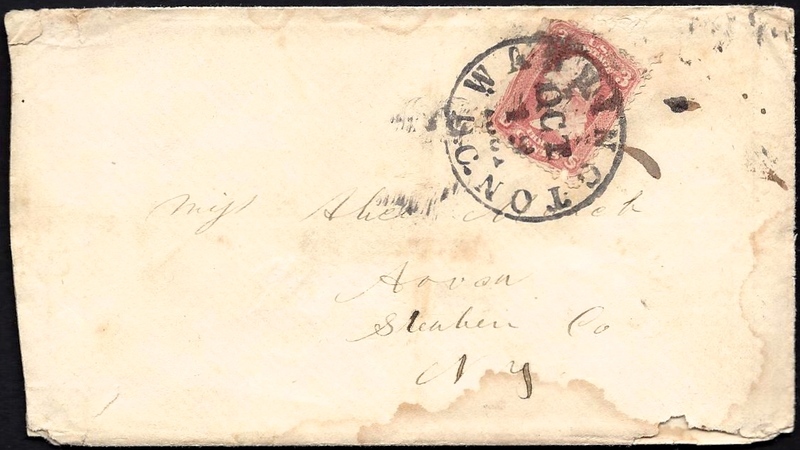 To Alice March, Avoca, Steuben Co., N. Y.
P. S. Put a few pins in your next paper if you please. — J. M.
Having nothing else to do I thought I could write a few lines to you. We leave for the front tomorrow morning before daylight. They must want us to see some fighting else they wouldn’t be in such a hurry for us. It is alright for I had rather be at the front than here for we can’t get any wood to burn here and at the front we can. This is the meanest place I ever was in. It has rained for ten days and nights and the mud is ten feet deep or less. All I want is a good horse — then I am ready for duty. When they want me to go in a fight, all they have to say is forward march. They can leave the John off. I suppose you know that they call my name more than any other man in the army. They have a march to most every order. The orderly sergeant — when he calls the roll — he says John March and break ranks, march. I wrote a letter to Alvin Mather and Pumpkin the other day. When they mail comes, I will have a hell of a lot of letters — that is, if they all answer them. I wrote to Frank over three months ago but haven’t got an answer yet. He is a hell of a boy. Who did he vote for — Old Abe or Little Piss Pot. They say — or the paper says — that Old Abe has sent men to Richmond to see what they can do on the Peace Question. I don’t think we can have peace until we run the rebs all into hell or some other good place. They won’t give up as long as they have got a man to fight. But next summer will find them in that fix. We will sweep them off the face of God’s Mother Earth next summer for we have got the men to do it — Sheridan, Grant & Sherman. I wish today was the first day of April 1865. You would hear of the Army of the Valley that they was on their way to Richmond and the rebel army scattered in every direction. Give Sheridan one hundred thousand men and he will make one Grand Charge and won’t stop until he sweeps every traitor out of every state in the South. What does he care for breastworks? Look at Fisher’s Hill where the rebs had three lines of rifle pits. He didn’t stop for them but told his men to charge and not stop and they did charge and the rebs left. When I say Sheridan don’t care for breastworks, I think I am mistaken for there is one kind of breastworks he cares for — I know I do at any rate. You know what kind of breast-works I mean. I must stop for this time. Write just as soon as you get this and don’t forget. My love to all my friends, if I have got any. Send me your photograph.